Many of you are having problems with your memory. You may not be sure if that problem is because you are increasingly slipping into the NOW, or if you are having an issue with your earth vessel. For many of you, this “issue” has arisen because you are thinking multidimensionally with your 3D brain. Your 3D brain was not created to think multidimensionally. But, because your consciousness is expanding beyond the limitations of the physical world, you need to “shift gears” into the multidimensional thinking of your Multidimensional Mind. You physical brain is calibrated to perceive the third and fourth dimensional realities, whereas your multidimensional mind is calibrated to perceive the fifth dimension and beyond. In other words, you must calibrate your consciousness to the higher brainwaves in order to process that which you perceive on the edges of your third dimensional perceptions. Your third dimensional perceptions have been stretched to their limit trying to compute frequencies beyond the fourth dimension. Hence, your brief glimpses of something that is just beyond of third/fourth dimensional seeing and hearing, can only go into a subliminal level of your 3D brain. Your earth vessel is feeling that something is very different, but it cannot determine what that “something” might be. All these changes in your perception are because you are making the transition from third/fourth dimensional perceptions into fifth dimensional, and beyond, perceptions. Fourth dimensional perceptions occur when you are dreaming or when you are engaged in a creative or enjoyable endeavor. Gradually, you are becoming accustomed to these perceptions. As you become accustomed to this frequency of stimuli, it becomes your new “base-line” frequency of perception. Then you will move on to the fifth dimensional perceptions. More and more of our grounded ones are experiencing something that speeds through their awareness, flickers at the edge of their vision, whispers softly into their hearing and/or speeds past their body. These faintly perceptible perceptions are the increasing as you become entrained to the fifth dimensional reality that has ALWAYS surrounded you. Yes, the fifth dimension has always been a component of your reality, as the higher frequencies of reality exist infinitely within the NOW of the ONE. The density of fear and anger that has surrounded dear Gaia for more “time” than you could count is finally beginning to waft away. Gaia is gradually ascending Her planet into higher and higher frequencies. Some of Her dear residents will not be able to remain attuned to the higher, baseline frequency and will continue to live within the 3D Matrix. This 3D Matrix was provided a virtual reality in which beings of the third dimension could live on Gaia’s Earth. Gaia is now releasing Her 3D Matrix, as She is ready to return back into Her fifth dimensional state. You see Gaia misses Her higher frequency life. Fortunately, there is also an ever-increasing number of humans who are remembering and missing the fifth dimensions of reality that are filled with unconditional love and multidimensional light. Within these realities there is no “time.” Therefore, time does not end or start, and realities do not end or start. Life in the higher frequencies exists within the Flow of the NOW. Because Gaia’s resonance is flirting with the fifth dimensional NOW, more and more of Her inhabitants are becoming conscious of the frequency shift of their reality. Some are resisting this shift, which makes them fearful and angry. On the other hand, many of you are “almost” recognizing that something is changing. We say “almost” because you know that something is different, but your 3D brain has no explanation for what is happening. Those who have meditated have prepared themselves for this shift by learning how to consciously experiencing higher dimensional states of consciousness. We remind you that there are many manners in which our grounded ones can meditate. 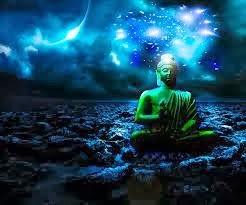 Therefore, just because one may not formally meditate, it does not mean that do no expand their consciousness into the higher dimensions. Any form of creative endeavor will serve to automatically expand your consciousness. Your physical brain can only perceive that which is physical as “real.” Therefore, it puts all non-physical perceptions into the package of “energy fields.” Fortunately, more and more of Gaia’s ascending ones are beginning to consciously perceive these energy fields. However, since these energy fields are beyond the illusion of “time” and appear as a flash of energy. We speak to our grounded ones within this NOW to assist the ascending ones to better understand how to consciously attend to these “flashes of perception.” First, remember to remind your self that these flashes are real. Your 3D brain is unable to accept that information. Therefore, remember to automatically connect with your multidimensional mind, which over-lights your physical brain. You multidimensional mind resonates to the frequencies just beyond your fourth dimensional aura. We use the term “beyond” to make our statement more understandable to your 3D thinking. However, your fifth dimensional SELF is not “beyond” you. Your fifth dimensional SELF is “within” you. With that explained, we wish to tell you that these “flashes of perception” are actually occurring within your core, which is the portal to your Multidimensional SELF. What is happening is that your core self, your Lightbody, is becoming activated by the higher frequency energy patterns that are entering Earth’s atmosphere. These “flashes” are entering Gaia’s atmosphere, which is her planetary aura, because Earth is increasingly resonating to higher and higher frequencies. Those who are ascending with Gaia are also resonating to higher and higher frequencies. 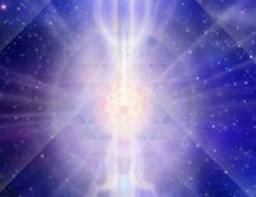 Therefore, their Lightbody, which has been latent within their kundalini force within their spine, is being activated. Once the Lightbody begins it process of activation, the 3D brain and the Multidimensional Mind begin to merge. It is the merging of the 3D brain and the Multidimensional Mind that is allowing the perceptions of fifth-dimensional energy fields to be consciously perceived. You, our grounded ones, can accelerate this marvelous process by reminding yourself to consciously attend to the ever-increasing perceptions for which your 3D brain which appear to have no explainable source or reason. This acceleration is occurring because your 3D brain is in its primary stages of merging with your Multidimensional Mind. 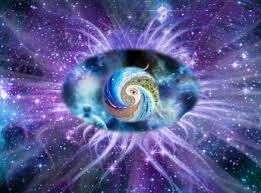 These wormholes are minute, multidimensional portals between your 3D brain and multidimensional mind. As you begin to perceive reality through your multidimensional mind, you will perceive the higher frequency energy fields before they have entered the “time” of your 3D Matrix. Once you can recognize that these multidimensional energy fields are filled with unconditional love, you can open your heart and mind to totally accept them. On the other hand, if you recognize that an energy field contains fear-based emotions, you can send it unconditional love and blaze it with the Violet Fire. When you work with energy patterns before they become manifest in your physical reality, you will be serving both yourself and Gaia by clearing possible fearful realities. Also, by recognizing the higher frequency energy fields, which are based on unconditional love and multidimensional light, you can full heartedly accept them into your personal and planetary reality. Once you accept these fifth dimensional and beyond energy patterns into your reality, please ground them into the core of your Kundalini, as well as into the core of Gaia. In that manner, you will open the higher dimensional portals to your own consciousness. You will also serve as the guardian of that portal by grounding it’s energy package in the core of Gaia’s planetary vessel. Do you see how VERY important you are to the process of ascension? At first, you will likely recognize ONLY the negative energy fields, as your 3D consciousness is constantly on alert for problems. Eventually, you will feel comfortable with your service of working for ascension at the baseline level of energy fields. When you love and transmute on the level of a energy field, you will be either assisting a loving energy field to be grounded into Gaia, or transmuting a fear-based energy field before it becomes manifest. 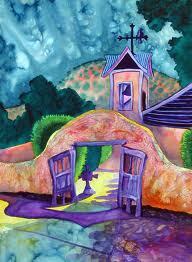 Eventually, you will feel confident enough to accept the higher dimensional energy packages into your personal portal. It is through the conscious acceptance of these higher dimensional realities INTO your SELF that you will begin the conscious unification with your Multidimensional SELF. We wish that all our volunteers to Earth could instantly experience a swift return to SELF, but we know how strong the “brainwashing” is during your NOW. Fortunately, we can inform you that you Galactic Family is making great strides in the process of re-locating those who cannot, or will not, accept the light into their consciousness. We are very pleased that you, our emissaries to Earth, have been so dedicated in your process of assisting Gaia and ALL Her creatures. As your consciousness continues to expand, you will begin to perceive more and more alternate, parallel and higher dimensional realities. 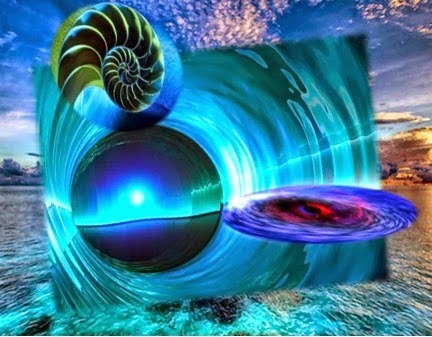 Your Multidimensional Mind has always had these perceptions, but until NOW, it was too disconnected from your 3D brain for you to consciously be aware of these experiences. 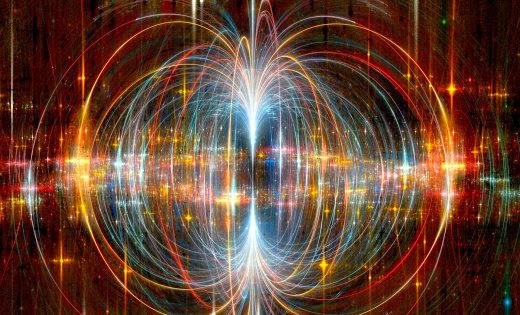 Because your consciousness is now shifting into a higher frequency, you are releasing the illusion of “one reality at a time.” The key to this process of release is the word “time.” Remember, as you move into your fifth dimensional consciousness your perceptions are no longer limited by the 3D rule of polarized, separate realities. Because you are shifting into higher perceptions, you are beginning to perceive several realities within the NOW; and all these realities are strangely intermingled. Of course, the “strangely” component only occurs to your 3D thinking that is still limited to the old concepts of separation, polarity and limitation. As your consciousness becomes more multidimensional, your perceptions are becoming multidimensional. Hence, you may be confused as to “What reality is the REAL REALITY?” The answer is that all these realities are real within the their own energy field. If you were to enter an energy field of a certain reality, you would experience the thoughts, emotions, thoughtforms and energy fields of that reality. However, you will not know that until you consciousness has “read” the energy of that reality. 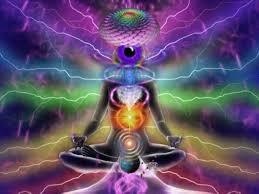 The energy fields encompassing every reality functions like a human’s aura. That which is in the core of the human is projected out onto the aura’s energy “screen.” It is the same for the energy fields in that the core energy field of that field is reflected onto the “dimensional membrane” of that reality. Day by day, more and more members of humanity are beginning to consciously perceive these multidimensional energy fields. All of these energy fields represent slightly different frequencies of resonance that you can perceive while in different states of consciousness. When you do perceive them, you experience them only as “energy fields.” But, as you consider these energy fields as the auras of the realities, you consciousness will gradually expand to encompass that concept. To your 3D brain, these multidimensional realities appear to be third dimensional, as that is the only manner in which your 3D brain can think. 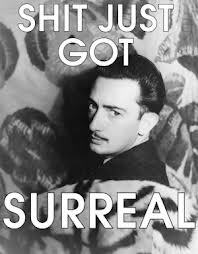 However, these realities are attached to the 3D Matrix, but extend their arch out far, far beyond the third dimension. Higher dimensional realities exist within these orbs of realty. At first you may believe that these orbs are “new.” However, they have always been there, but your perceptions were limited to the third/fourth dimension. It is within this NOW that you are beginning to imagine what might be beyond the limitations of your 3D brain. Do you remember when you used to believe that only that which was attached to the 3D Matrix was real? Now you are realizing that what is attached to the Matrix is an illusion and what extends beyond the matrix is the higher dimensional versions of that reality. All these realities are “real,” but only to those who resonate to that frequency. You will only perceive the dimensional realities to which you have opened your mind. However, you may be deep in meditation, creativity, or even fun, which expands your consciousness into these higher frequencies, then in a flash, the 3D Matrix grabs your attention and you are back in the 3D Matrix. The Matrix is like a web to which you can easily become attached, and the more you struggle, the more intertwined you become.